saturday was our first anniversary, so we spent the weekend in the absolutely, perfectly, unequivocably, charmingly lovely town of bath (pronounced bahhhh - th). 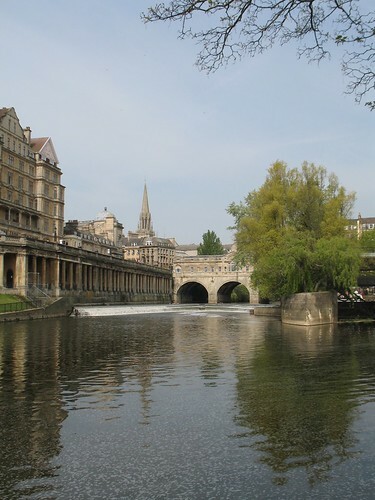 more pictures to come but here is the requisite shot of pulteney bridge and the cascading weir. wow - a year already? Happy anniversary!